Begin by putting the scalded milk, water, and honey in a very large bowl. Sprinkle yeast over the surface. Let it bloom and become creamy, ~10 minutes. In the meantime, whisk together the butter and eggs. Once the 10 minutes is up, whisk in the egg/butter mixture. Stir in the flours and salt with a wooden spoon. 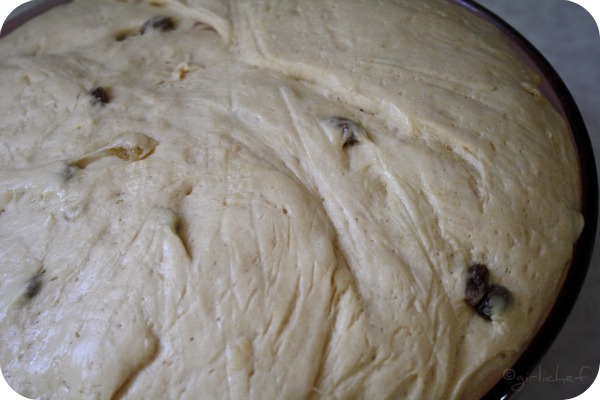 Fold in raisins. 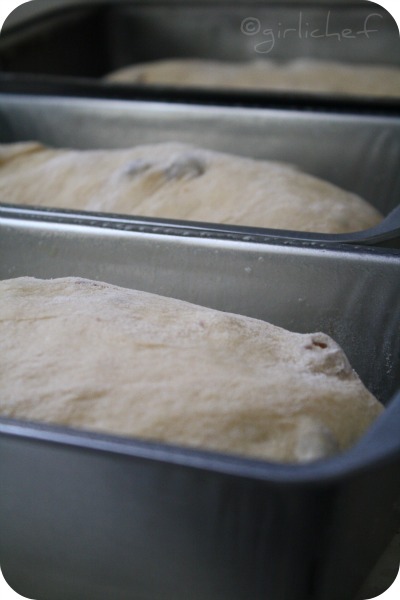 Turn out onto a well-floured surface and knead until the dough becomes silky and workable. Dough may seem a bit sticky at first...simply add more flour to the bench as needed, using a bench scraper to lift dough in between if it starts to stick. This should take ~10-15 minutes. Form into a ball and place into an oiled bowl, turning once to coat. Cover with plastic wrap or a clean kitchen towel and let raise until doubled in size, ~1½ hrs. This dough is superman...just look!!! Punch dough down. Lightly flour your work surface again and turn dough out. 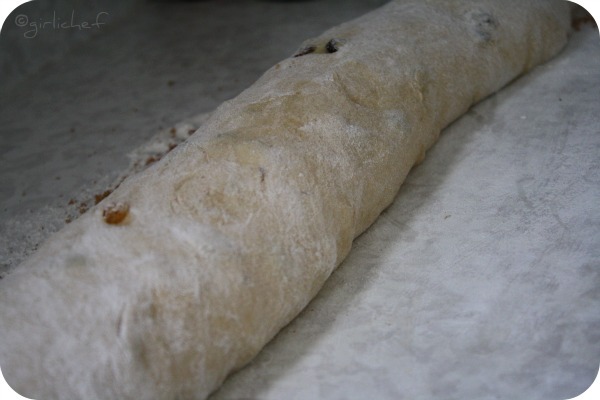 Gently roll the dough into a very large rectangle-ish, approximately 24"x12". Combine the sugar and cinnamon. 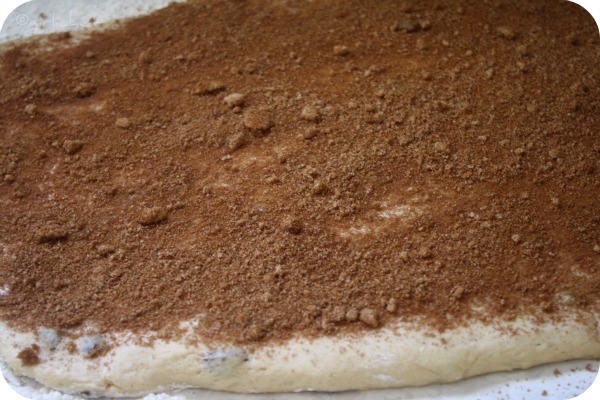 Gently rub the milk across the whole surface of the dough, then sprinkle the cinnamon and sugar mixture evenly over the moistened dough. 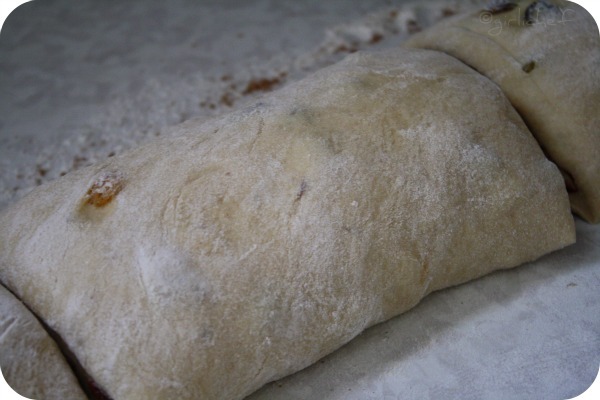 Roll the dough (jellyroll style), keeping it as tight as possible. Cut the dough into three even sections, ~8" each. 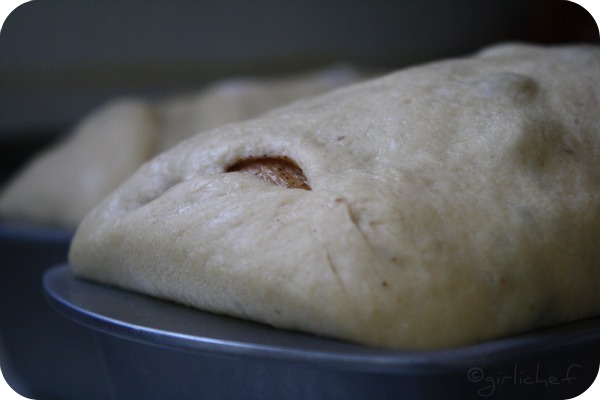 Pinch the open edges together and tuck underneath the dough. 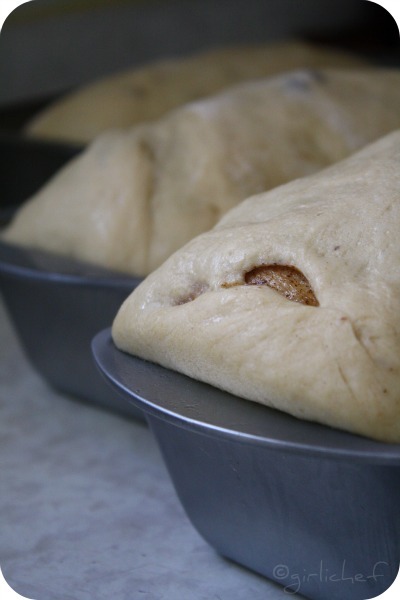 Place in well-greased loaf pans. I tried two different sizes, both of which worked just fine...but I prefer the smaller, skinner one which measures about 4¼" W x 8½" H x 2¾" Deep. That said, it was just the aesthetics, so use the loaf pan you already have if it's a different size. Cover with plastic or towel and let rise until doubled in size, ~45 minutes. Again...this loaf is so superman...rises up all big and beautiful...and fast! Preheat the oven to 350° F. during last 20 minutes or so of rise time. Bake in your preheated oven for ~45 minutes, or until golden (should register ~185° F., if you're temping it). Let bread cool in the pans on a rack for ~10 minutes. 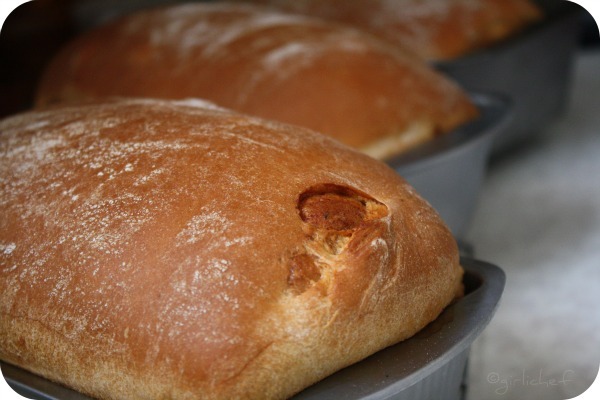 If you want, now is the time to brush the top of the loaves with a bit of melted butter. 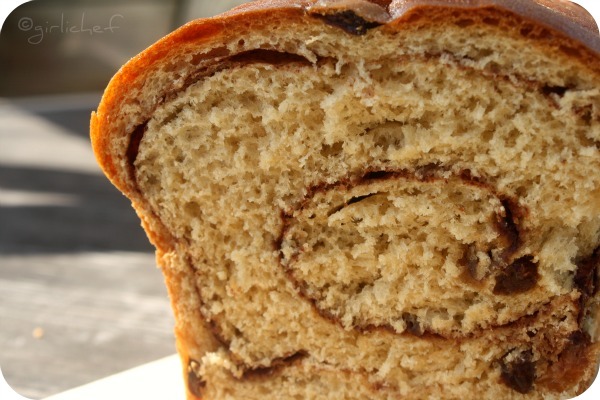 The butter gives it a pretty sheen, but it doesn't add or take away from the loaf in the end. I think if you're going to store it, I'd leave the butter off. Turn the loaves out of the pans to finish cooling. Once it's cool, you can wrap it well and freeze it, if you wish. Or give some away...your neighbors will appreciate. I know this from personal experience. 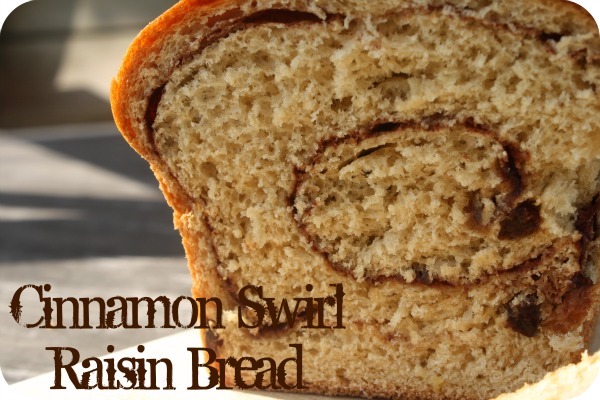 Or slice in and take a bite of cinnamon raisin bliss! 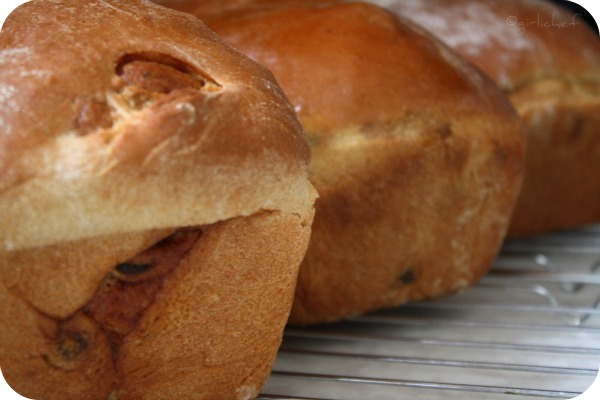 Our next raisin bread loaf will be an oatmeal loaf- no swirl. We'll compare and let you know the results! !